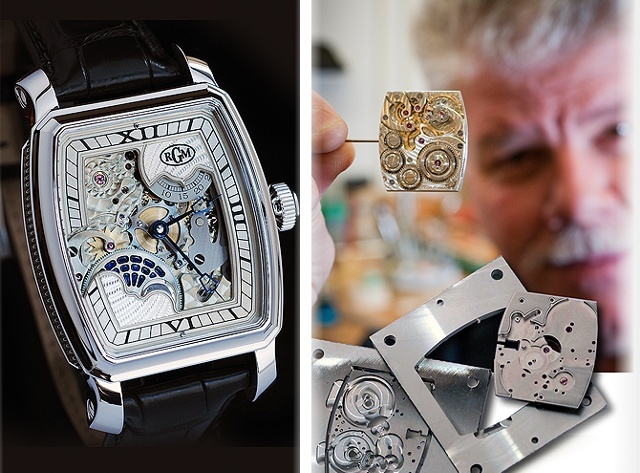 RGM’s third in-house movement Caliber 20 is their first with a Motor Barrel. Modeled after top grade American railroad watches from the past, which had Motor Barrels. Some of these included the Illinois Bunn Special, Hamilton 950 and others from great American Watch Brands. The Motor Barrel is an American invention used only on the highest grade models. The benefit of the design reduces friction and wear in the mainspring barrel bearing surfaces, thus transmitting power more efficiently. As an American brand, RGM felt it was a natural choice to incorporate the Motor Barrel in their new in-house movement. The tonneau-shaped American Made Caliber 20 features a highly polished, stainless steel case with sapphire crystal and a sapphire crystal display back. Its functions include hour, minute, seconds on disk and precise moon phase. 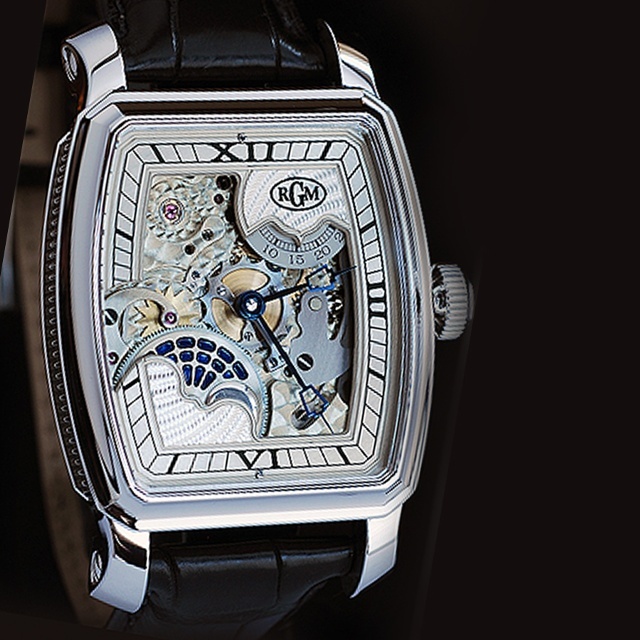 The dial comes in two options; skeleton or full guilloche. Each style incorporates blue steel keystone hour and minute hands. Finishing the piece, a brown or black Louisiana alligator strap with a signed RGM stainless steel buckle.